I LOVE our new kitchen and am so grateful to have had the opportunity to work with David at Triton in Portsmouth. After a couple of unsuccessful shopping trips to find granite for our countertop, I connected with David through Mya at Absolute Stone. 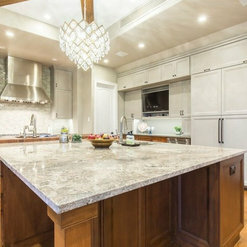 David is intuitive and has incredible skill at pulling together all the components to create a gorgeous kitchen. He is an excellent listener, and in my case, picked up on what would be the PERFECT stone for our kitchen by listening to what I wasn't saying (and didn't even realize for myself). He is patient and creative and has a delightful way of providing input as well as working with customer preferences. He is thorough, organized, and follows up which helped me to keep track of all the moving parts involved in a major renovation. David is a rare find who has exceptional talent, skill and ability to help plan and design a project and take care of the customer personally. I will be back when it is time for our next project! 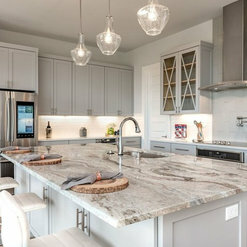 Triton stone has a magnificent selection of all types of surfaces and accessories for kitchens & baths. All staff are friendly & very knowledgeable, working hard to find just what you want to make your "dream" new or reno com true. 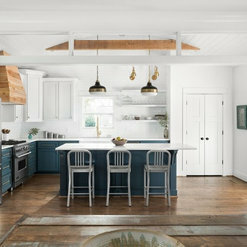 After a long search we ended up back at Triton working with David W. He figured my husband and I out right away and led us to what we now know made our dream reno kitchen come true & will enjoy gathering with family & friends. We are so appreciative of the team at Triton and most especially David for his great taste & useful tips for the care of our investment. Thank you for the 5 star review. David is an expert! We are glad to hear you had a positive experience with us as customer service is our number on priority. Jazmin at Triton in Richmond VA and the staff at the store were great. Jazmin had the patience with me that I needed. She was knowledgeable and if she did not know, she did not fake it but spent the time looking for the answer. Triton has a deep and excellent selection of slabs, sinks, faucets and tiles that your ordinary tile store may not carry because of their size in the industry. Lori, Thank you for choosing Triton Stone and for the positive feedback. Jazmin works hard to be sure her customers get what they need. We appreciate you taking the time to share your experience! We had a great experience with David Weiner at Triton. He was so knowledgeable and wanted to make sure we got the right product for our needs rather than just trying to sell us something. He advised us on some different aspects of our kitchen and we are very happy with our choices. I would definitely recommend them. We at Legend Interiors work hand in hand with the Triton Stone team on a regular basis. They respond back immediately when we have questions, need pricing, or need to schedule an appointment. This fast service allows us to get our cabinet orders processed in a timely matter and keep the jobs moving. We send our clients over to Triton and always trust they will be in the best hands. Everyone there is super knowledgeable about stone, fabrication and all that goes along with. 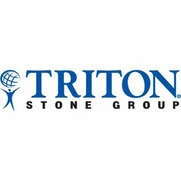 We look forward to working with Triton Stone on our upcoming projects. After a great deal of looking at other suppliers, we found Triton. Shouldn't have bothered with he others ! Working with Marilyn we found exactly what we wanted all along and at very competitive prices. Master bath now almost finished and looking great ! Looking forward to continue to work with Triton as we move forward with kitchen makeover. I have purchased products from Triton. I have been working with Laura M. at Triton Stone in Raleigh for the past few months while I have been remodeling my home. Laura and the staff have always been attentitive and helpful. Laura has taken extra time researching products that I needed for my projects to find exactly what I needed at a great price. 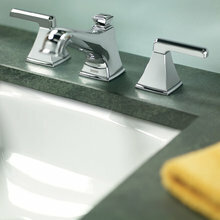 So far I have used products purchased from Triton in my kitchen and two bath rooms. The pricing has been competitive and the staff have been great. Ms. Montgomery was fantastic to work with! She went out of her way to help me on several projects, and offered some excellent ideas. Triton is very competitively priced and great to work with. I highly recommend them, and they are my "go to" for all tile, marble, and granite needs. They are a fantastic resource. 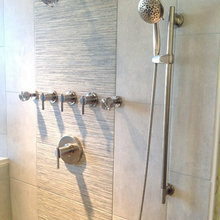 I have used Triton Stone for the renovation of both my master and hall bathrooms. I have worked with David W. both times, and he is an excellent designer and provides excellent customer service when ordering products. He is also very personable and professional to work with. He gave me wonderful ideas for both projects, and he helped me select the perfect tile, granite, and plumbing fixtures for both projects. My master bath is complete, and it is beautiful thanks to David and Triton Stone! I am looking forward to being just as thrilled with my hall bathroom. This Summer we undertook the complete renovation of our two full baths. The products and professional services provided by Triton Stone were instrumental in the successful completion of our renovations. In particular, sales and design representative Mr. David Weiner guided us in considering the numerous aspects of our work. David was pleasant, cheerful, professional and he had great skill regarding color and pattern choices. David helped us with every decision from the type and pattern of the countertops to the colors for the grout and caulk materials. He also shared his network of dependable , professional Craftsmen and stone fabricators/installers. David ordered all of our selected materials and all materials arrived on time and in excellent condition. His personalized service and product selections were instrumental in the successful completion of our renovations. This was time, money and effort well spent. Our bathrooms turned out even better than we had envisioned because of David's efforts and Triton's wonderful products and materials. 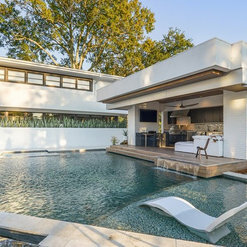 Future customer's would do well to seek out David Weiner and utilize his expertise for their special kitchen and bath renovation projects. 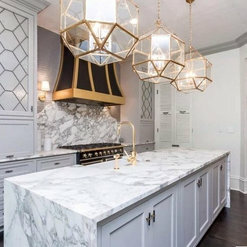 This was one of the very best customer service interactions that we have ever experienced We strongly recommend using Triton Stone and Mr. David Weiner for your professional renovation needs. We would not hesitate to use them again or recommend them to friends . 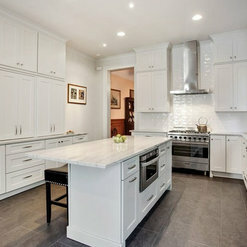 We just completed a kitchen, 3 bathrooms, and flooring renovation using products and services furnished by Triton. The quality and selection of material was excellent. The prices were competitive. Our salesperson's knowledge of product and design was exceptional. I would highly recommend them. Commented: This is really fine. 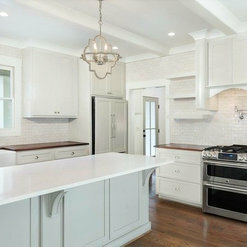 What is cabinet style.anywhere to see up close?Unfortunately, these were custom cabinets built in New Orleans so we do not have that information. 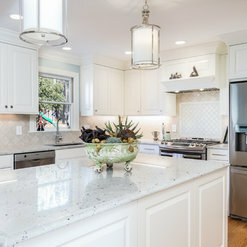 Commented: Cleaning instructions for Quartzite? Does it need sealed?I would suggest always sealing any natural stone. Even though Quartzite is the most durable natural stone, we always recommend a sealer. Give your local Triton a shout when you are ready! Commented: Backsplash ColorThat seems to be a 4x4 Noce travertine tile. We do offer a variety of 4x4 travertine colors. Give us a shout, and we can go over the options! Commented: FaucetGood Morning, Thank you for your inquiry. We do not have any information on this faucet, but visit our website for more product information www.tritonstone.com. Thank you!